Match Your Donation November 8-16! Waheguroo Jee Ka Khalsa, Waheguroo Jee Kee Fateh!! Between November 8th and 16th you have the chance to double your Dasvandh, thanks to the Dasvandh Network and Dasvandh Week. The Dasvandh Network (DVN) is running a matching donation program featuring a number of Khalis Foundation projects. All you have to do is simply go to the DVN website between Nov. 8-16, search for “Khalis Foundation” and click donate. Your donation is then matched and sent to Khalis Foundation. You can also choose the monthly recurring donation option, and your donation will be matched all year long. Here are some of our projects being featured on the Dasvandh Network. Khalsa Sundar Gutka contains the daily and extended Sikh Prayers also known as Nitnem. We hope to include more banis and features in the future. 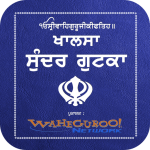 The Sikh prayers are known as Gurbani and were written by the ten Sikh Gurus. Keeping Sundar Gutka up to date is a big task that costs money. Between app store fees and developer costs, we could really use the support of the community to keep it going. We are also planning to add more features such as personas, fonts, hindi and more. Keertan Network formerly keertan.net is in the middle of a relaunch! Keertan Network is the third keertan website ever on the Internet and is the third longest running keertan website in the world. With the relaunch, keertan network continues its commitment to keeping alive and online kitan from around the globe, free and available to the sangat. 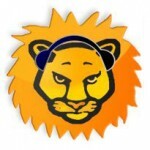 We are also adding in improvements to make it social, mobile, and versatile. We will be including videos and keertan from around the world. Volunteers will work to convert our backlog of hundreds of tapes, cds and videos to put online for the first time. We will also aim to relaunch our global search engine, the only keertan search engine in the world. We need your support as the redesign has been costly and we are almost across the finish line! In the old days, Sikhs would study gurbani and write their own gutkas prayer books and pothis hymnals. Since the advent of print media and technology, this art has been slowly lost to many. 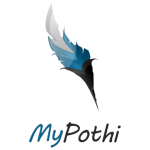 MyPothi allows you to log on and create your own pothi and arrange gurbani as you see fit–whether for daily prayer, keertan or discussions. You create your pages online and they automatically sync to your mobile device. We need everyone’s support to make this year’s Dasvandh Week a huge success! Remember to visit the DVN website anytime between November 8-16.